Provided in a compact and portable pot, the Purell Advanced Hygienic Hand Rub is highly effective along with your infection control. Combining both antimicrobial efficacy and proven to maintain skin health, the formulation has been shown to have exceptional antimicrobial efficacy. The gel mixture spreads easily while drying in seconds to allow healthcare professionals to continue with their work. Promoting exceptional hygiene and compliance, the hand rub conforms to a wide range of industry specifications making it ideal for use in healthcare environments. Spearheads a total hand hygiene system that promotes infection control by maximising compliance. Clinically proven to maintain skin health* * 4 week clinical study #2011-F10233, Akron, OH, February-March 2011. 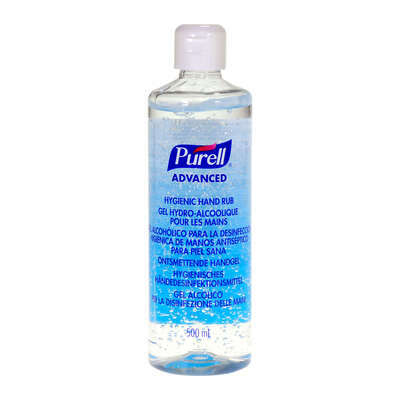 Here at Gompels, we stock a wide range of Purell products at exceptional wholesale prices.